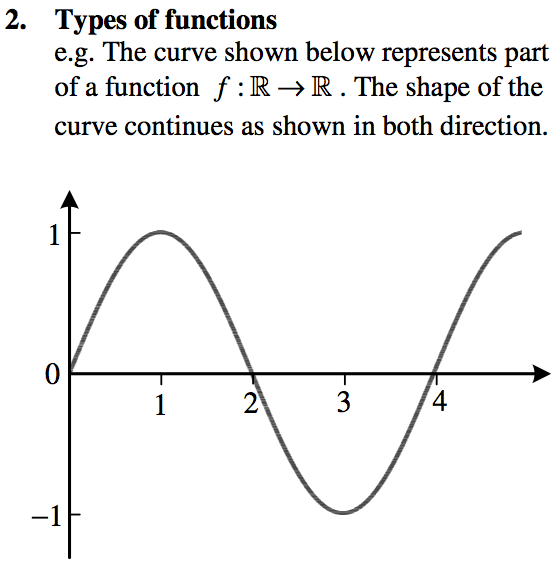 A Function is a mathematical rule that assigns only one output to each input. 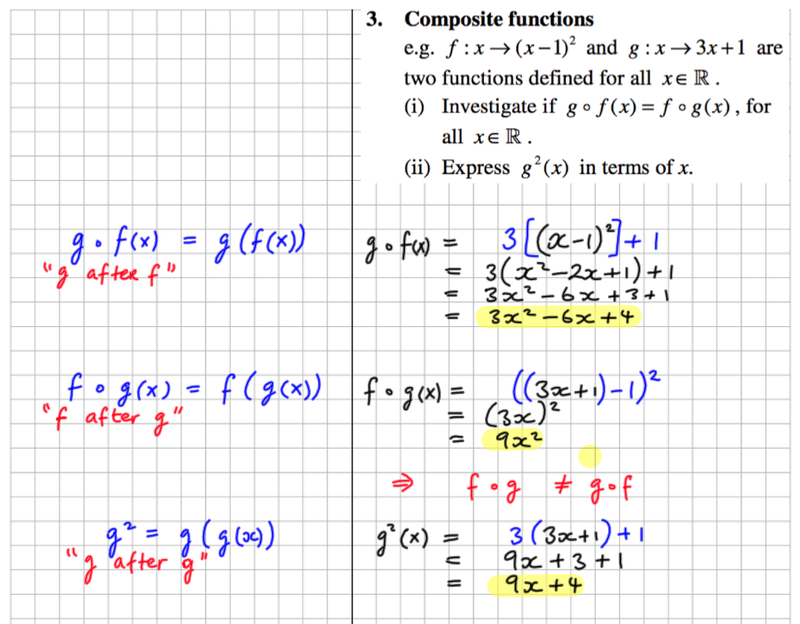 Composite functions are functions of functions. 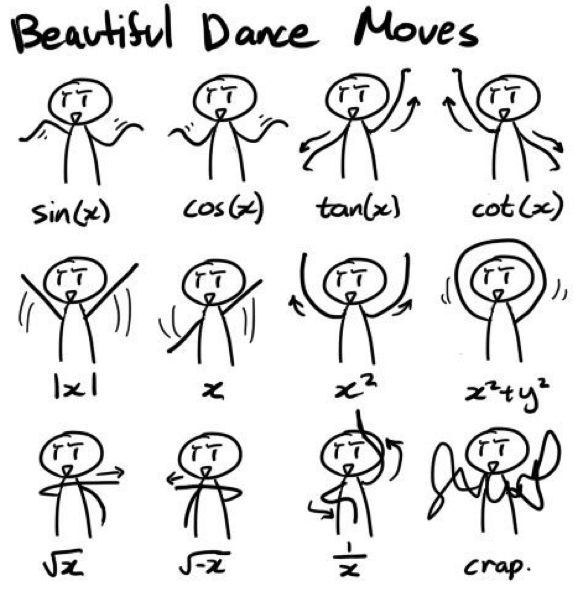 Considering how to sketch some common functions such as quadratic, cubic, exponential, trigonometric and log functions. 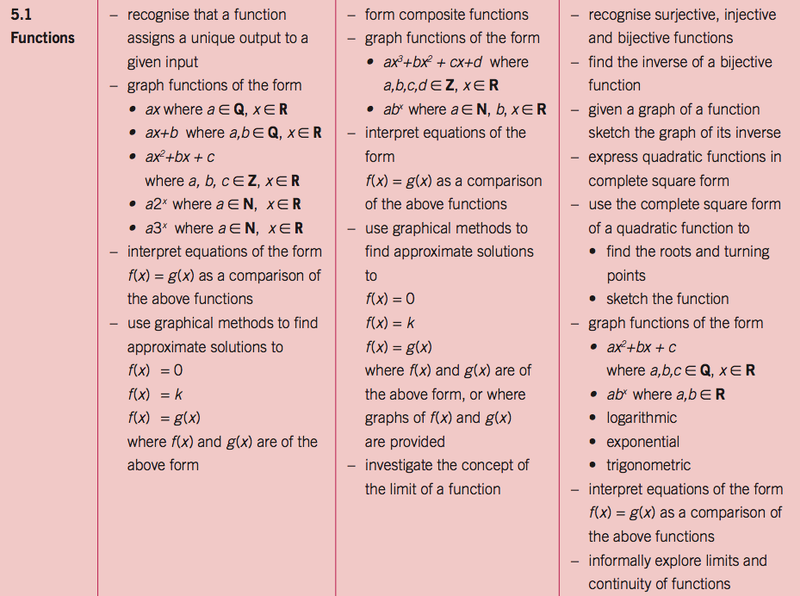 Quadratic functions: solutions, factors, graph, complete square form. We played a matching game included in the file below. 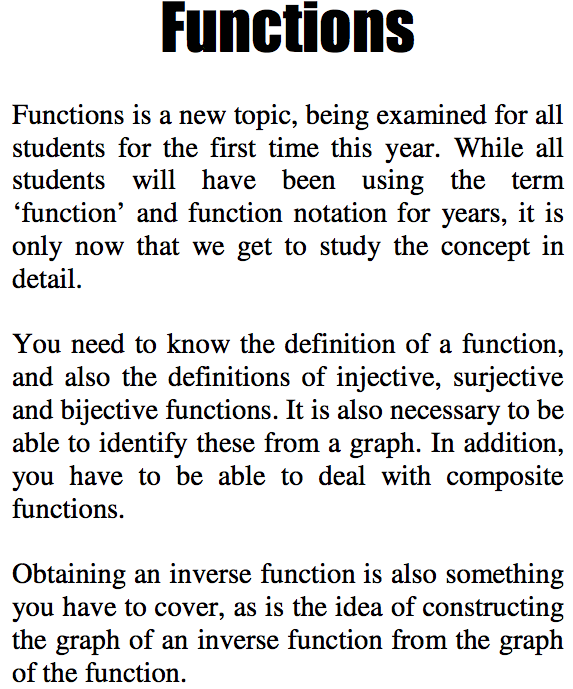 Functions may be injective, surjective, bijective or none of these. 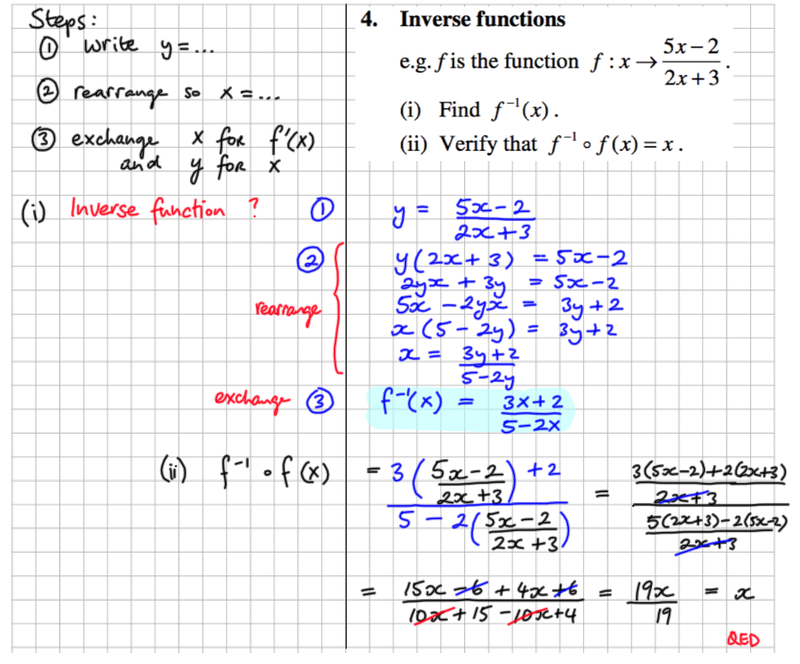 The course requires that students can find the inverse function. 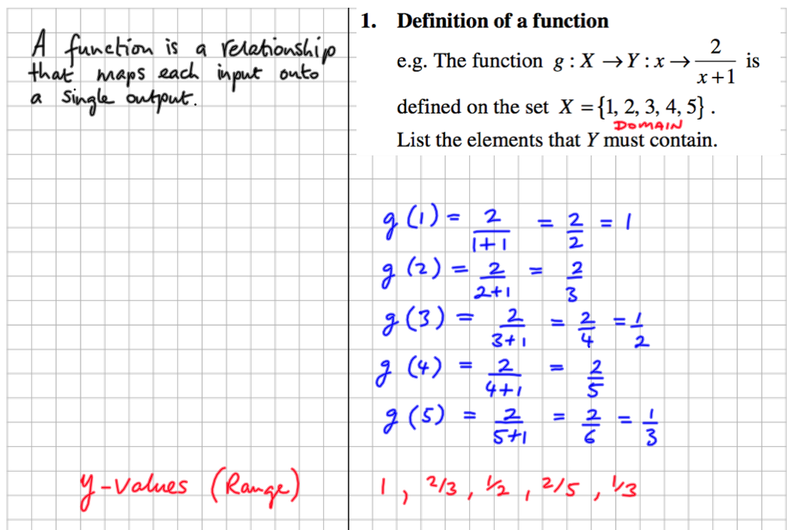 This is the reflection of the function in the line x=y. 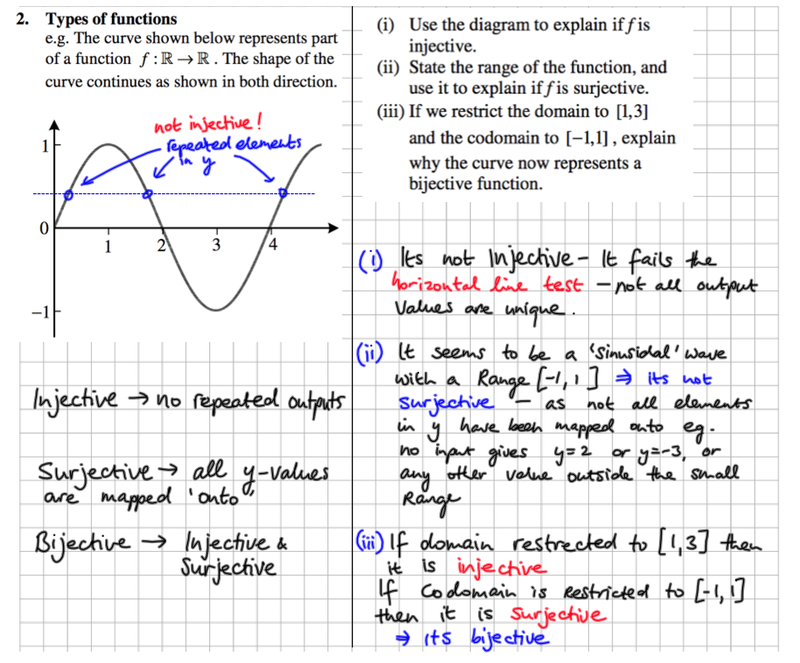 Is a function continuous or discontinuous?